David Hunt is the founder of his namesake winery and vineyard, Hunt Cellars in Paso Robles, California. Hunt also suffers from a hereditary disease that left him blind. He tells Fox Business why being blind is simply ‘an inconvenience’ and how he runs a successful winery in spite of it. Creating and successfully running a business is no easy task. Especially the business of owning and running a winery, which inexorably includes the vicissitudes of the economy, weather patterns, grape harvests and management of employees. Now, add blindness to that massive undertaking. David Hunt is blind, succeeding in the wine industry and proving that anything can be accomplished when the word “impossible” is not in your vocabulary. Hunt owns and runs his namesake winery and vineyard, Hunt Cellars in Paso Robles, California. Hunt also has retinitis pigmentosa, which is a hereditary disease characterized by a progressive loss of sight. He tells FOX Business that he began to fathom that something was wrong with his sight when he was 7 years old. “My friends and I were trick-or-treating and I would run into trees, so my night blindness started young,” recalls Hunt. Then his eyesight continued deteriorating. “When I was 13, the doctor said to me, ‘You’re not going to be a doctor or a lawyer, you’re going to go blind,’ which I thought was pretty harsh,” reveals Hunt. Harsh words did not sink Hunt’s spirit, however; they emboldened him. Hunt’s determination led him to a 550-acre ranch in the expansive Paso Robles for the site of his vineyard and winery. His wife, Debbie, was pregnant when he purchased the land in 1996, and Hunt reveals that he named it Destiny Vineyard, the name of their daughter, Destiny. “If I believe in a business, I don’t listen to the lawyers or accountants who are going to talk you out of it. If I believe I can do it, I just do it,” proclaims Hunt. In 1996 Hunt Cellars started production with about 700 cases of wine, and now it produces between 7,000 to 12,000 cases per year, “depending on Mother Nature’s kindness,” says Hunt. Hunt’s wines have proven quality too, and have won the highest honors in the competitive industry. In the past eight years alone, Hunt Cellars has had more than 200 of its wines score from 90 to 98 points on a 100-point scale. In addition, 21 of Hunt’s wines have won first place in the Best of California Competition, which includes the four major wine-making regions in the state (Napa, Sonoma, Central Coast and Paso Robles). 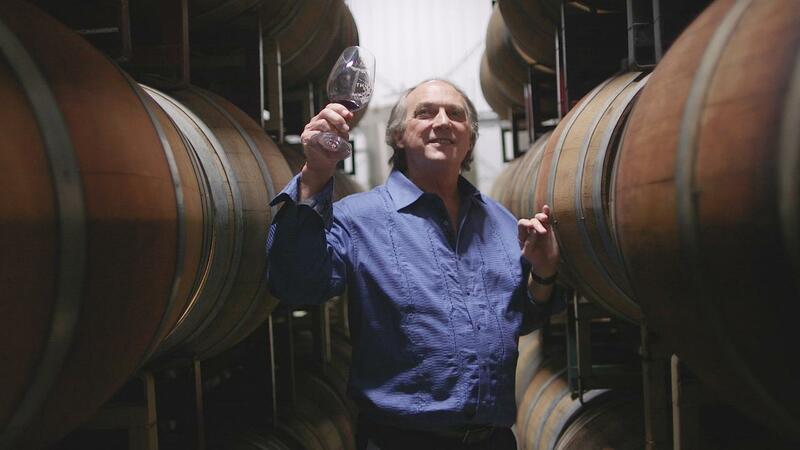 Hunt reveals the honor he still wants to earn: “The accolade I would love would be 100 points from Robert Parker, Spectator or Wine Enthusiast.” He adds, however, that he is very pleased with the respect Hunt Cellars has received from its customers. Hunt notes that his other senses, such as his sense of smell and taste, have sharpened due to his blindness. Hunt adds that his blindness has also forced him to sharpen his memory. “I memorize every path, every bathroom I go to. I try to memorize where everything is, and I can find my way around,” explains Hunt. Additionally, the winemaker says that customers in the tasting room sometimes don’t even realize he’s blind because he has learned his way around and pours a glass of wine so well. Sound is also crucial for Hunt, and he says that music is a key ingredient to his success. Hunt started playing the guitar when he was a teenager and started playing the piano when he was 24. He expertly plays the piano for his customers at his Paso Robles wine-tasting room. Hunt has used his determination to follow his passions and channeled them into his craft winemaking at Hunt Cellars. He says that he’s not trying to be the biggest winery, but he wants his wines to yield the best quality. He says he will continue to work tirelessly to continue doing just that.